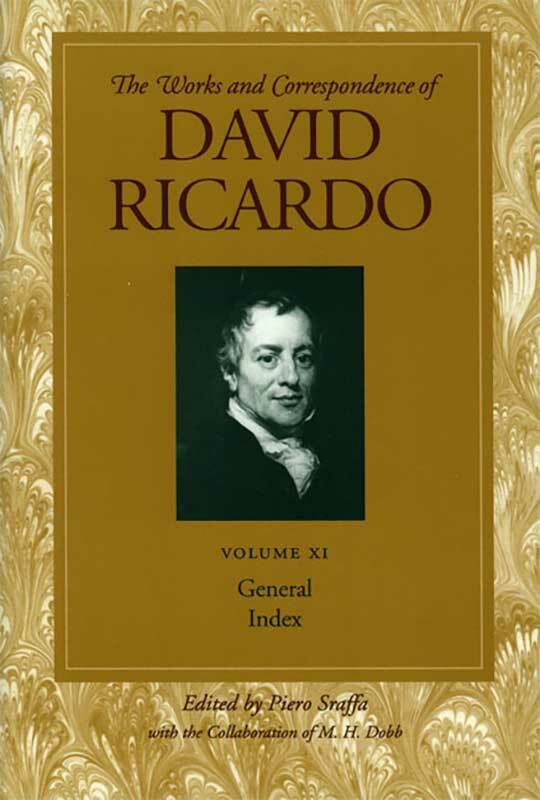 The last volume of this collection is a comprehensive index to the previous ten volumes of The Works and Correspondence of David Ricardo. It gives students, academics, and researchers a single unified source for locating Ricardo’s many contributions to economics. The index is designed to help readers trace their topics of interest through all of Ricardo’s writings, his speeches, and his bilateral correspondence with such luminaries as James Mill, T. R. Malthus, Jean-Baptiste Say, Jeremy Bentham, and Maria Edgeworth.